In partnership with Goodwood Road & Racing, Ben Collins, the former Top Gear Stig, has reviewed the Lexus's current F family, the RC F and GS F. And at the same time, he shows us what he can do in its 2012 supercar, the LFA. With its production stopped in 2012, after just two years of assembly, the LFA is one of Japan's all time greats. 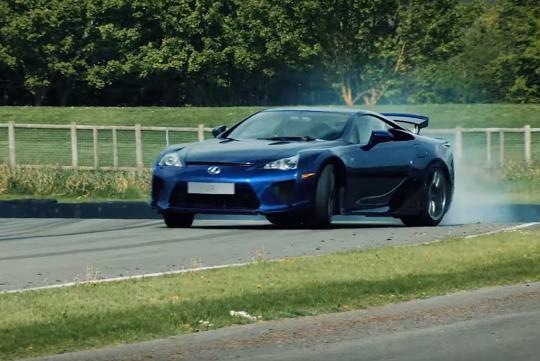 With that mind, Ben tries to figure it out in the video whether some of the LFA's qualities have been passed on to its other performance models in the lineup, namely the RC F and GS F. Being old Stig, it would be weird if he did not shred the cars' tyres in the video.